After a harrowing escape, Zenobia, Ariq, and their company take refuge in a gold rush town—but their temporary port is just a respite before traveling to the dangerous smugglers’ dens. 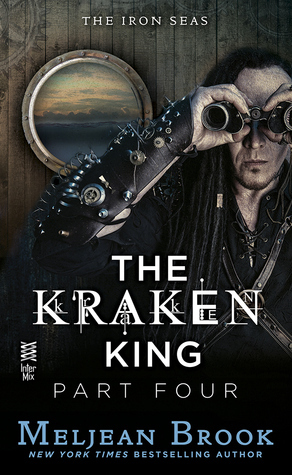 Ariq is determined to uncover the men responsible for the threat to Krakentown, even if it means confronting the notorious den lords. But when he discovers evidence in Zenobia’s letters connecting her to the Horde rebellion, he realizes that the threat is far greater than he had suspected. His loyalties torn, Ariq must distance himself from the fascinating woman he desperately wants to hold closer. 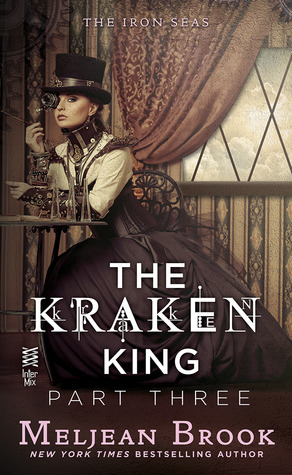 The Kraken King has declared that Zenobia Fox is under his protection—and with her identity revealed, she needs that protection more than ever. But it comes with a price when Ariq demands that Zenobia reveal her secrets in return. Ariq wants nothing more than for Zenobia to trust him, and he knows exactly which sensual tricks will breach her defenses. But although she urgently desires the powerful governor, Zenobia isn’t a woman who will be easily won with a few passionate kisses. This story just gets better and better with each new episode. In Part III we go deeper into the world Ariq and Zenobia live. The descriptions of the Smugglers' Den is striking vivid and shows us both the beauty and true horror of this new world. We also learn more about Ariq and Zenobia mostly through their interactions with the other characters. And I can just say that Ariq is becoming impossible to resist not just for Zenobia but for me as well. This part is full of action on the one hand and on the other there is a constant pull-push relationship between the main characters. The romance is really slow here - there is some lack of communication and some doubts on both sides which get in the way of Ariq and Zenobia coming together. At the end, a violent situation with Zenobia, pushes both of them to act on their attraction and leads to a mind-blowing kiss kiss which makes things between them hotter than hot. Part IV was the best so far for me. The time came for Ariq and Zenobia to share some of their secrets. Some striking revelations are made and just when they are finally coming together, a plot twist takes us into a whole new direction. I already love both Ariq and Zenobia and here we see more of their background and learn of their past and the things which made them who they are now. His overwhelming lust for her is coupled with tenderness and deepest desire for to offer understanding and protection. She is overtaken with desire to surrender to him, yet she is afraid it might end badly for both of them. This part has a bitter sweet cliffhanger ending - Ariq and Zenobia are togther (in a way) but they are facing unknown danger. Look for my review of the next two parts of the serial tomorrow.